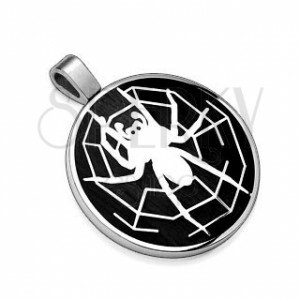 Pendant made of surgical steel - black glazed circle with shiny spider and spider web in silver hue. The steel pendant is in shape of a big circle covered with shiny black glaze. 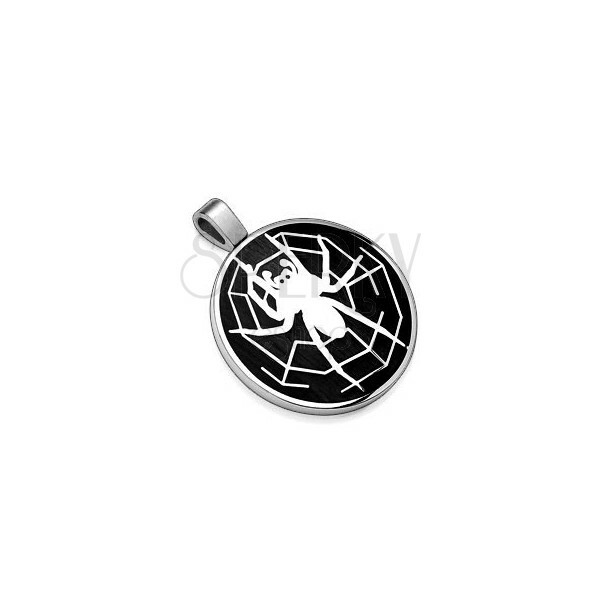 There is a spider web with spider in silver colour depicted on the circle. The pendant clasp is elongated.